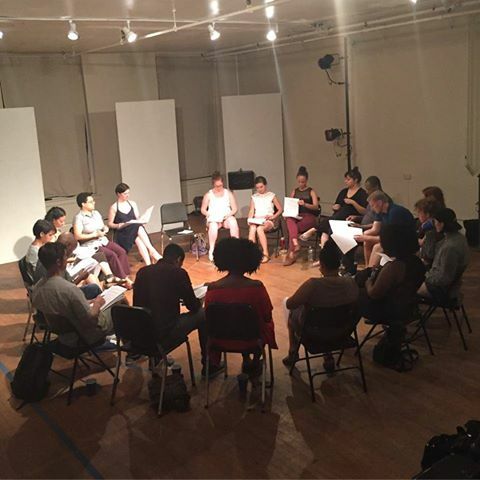 I love the spontaneous creativity that comes from performing readings of new plays, or any plays for that matter. Monday I got the chance to work with Everyday Inferno Theatre Company again in the gallery space of Access Theater, where Everyday Inferno has its residency. The play, Quicksand by Regina Robbins, based on the novel by Nella Larsen, is about Helga, a woman who is half African American, half Danish, and her struggles with her beliefs, her identity, and the expectations of the world around her in the South, Harlem, and Copenhagen – a fascinating piece with complex characters and surreal elements. It’s an ensemble piece and the company had a lot of fun playing through their various tracks, many of us playing seven or eight characters (not Helga of course). Everyday Inferno is a smart, inspiring company. I encourage you to see their work.